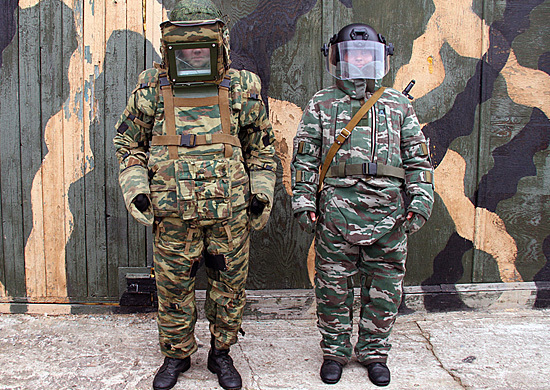 For service engineer units VS Russia in the coming months will go new protective suits sapper OBP-1 "Falcon". 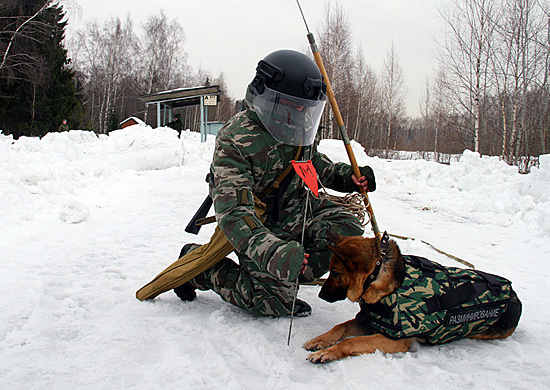 As reports Defense Ministry press service, the suit was adopted in early 2013. 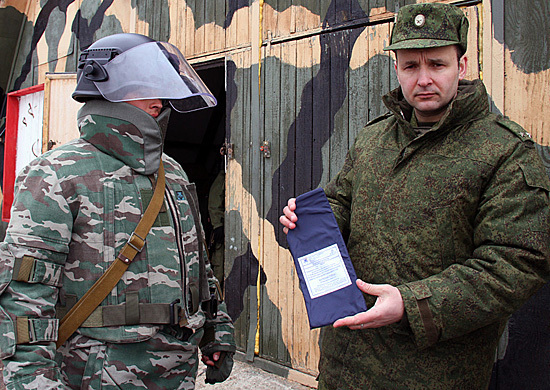 According to the chief engineer Russian Armed Forces, Major-General Yuri Stavisky, the first to receive new equipment engineer battalion involved in the clean-up of explosive ordnance in Chechnya and Ingushetia. Suit "Falcon" weighs 8.5 kilograms and protects from debris explosive devices, as well as from pistol bullets. In contrast to the protective kit PCL-1 "Doubloon" weighing more than 40 pounds, "Falcon" can be worn throughout the day. Downsize "Falcon" managed through the use of steel instead of (as is done in the "doubloon") high light plastic plates. "Thus, a sapper in the" Falcon "and is protected by mines with proximity fuze and responsive to the presence of a number of metal" — said in a press release. 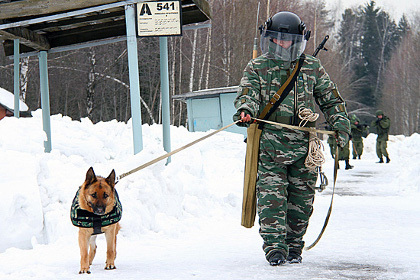 The protective suit of "Falcon" is combined with the standard elements of military equipment, including summer and winter uniforms and body armor. The fabric top layer suit is made of non-combustible material. As noted, the protective properties of the costume stores in the temperature range from minus 40 to plus 50 degrees, and the rain and wet snow. 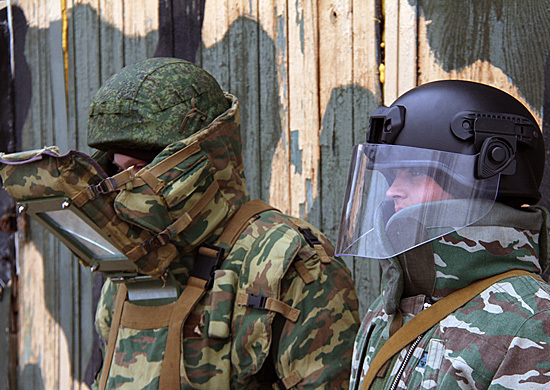 In November reported, in Chechnya ended testing of new eyewear for the bomb squad. Once finalized, they also planned to equip the engineering division of the Southern Military District.